The core of this yoga teacher training begins from the idea that everything is part of the whole, a belief found within both Yoga and Daoist traditions. From this starting point of interconnectedness, our practices will align us with this sense of wholeness. This opens us to discover our full potential and inherent wisdom, fluidity and ease within ourselves. Mimi and Jean have been running teaching trainings together for 8 years at triyoga. They teach with dedication, humour and depth. Over the years, they have offered an effective platform for teachers to feel confident in their personal practice and professional teaching capacity so that by the end of their training, they are equipped to take their love of yoga into the world. In this Daoist Flow Teacher Training, they will offer their thorough approach and a supportive environment so that by the end, you will feel confident to teach authentically and in a way that can let students experience the profound transformation of yoga. This training is open to those who wish to teach yoga but equally open to those who wish to deepen their knowledge and approach to mind-body movement. ‘Taking my teacher training with Jean and Mimi was the best decision I made. There are many teacher training options for anyone looking, but for me they delivered a rare experience, one unrivalled in the yoga landscape. Their breadth of experience and knowledge is impressive and the way in which they communicate this is skilful and engaging. Their teaching is not driven from a place of ego but from a place that is genuinely interested in sensitively teasing out and uncovering the best in each student, supporting you on the journey to find your own teaching voice. This is not prescriptive one size fits all. They artfully create a teaching environment in which you can explore your full potential with the intention that you may go on and do the same. They equip you to teach in the safest and most up-to-date ways whilst still honouring the tradition in its various forms; a method that is authentically rooted in the ancient technology but modern and relevant to the modern practitioner’. ‘Mimi and Jean provide a fluid, intelligent and heart-felt approach to both personal practice and teaching. Inspiring, nuanced, curious; and drawing from their wealth of experience both in their own practice and having trained and taught hundreds of teachers over the years. They work seamlessly together to instil a sense of wonder and empowerment around these practices, conveying them as treasure to be explored and gifted with others. Having practiced with them both for the last 6 years (training at triyoga for 2 years with Mimi and Jean, and then assisting their subsequent triyoga teacher training); it’s clear to me they offer something exceptionally special – you simply can’t find it elsewhere. There’s an openness, a sense of balance, and a keen creativity and wisdom in all that they do. It’s no exaggeration to say Mimi and Jean, together, have changed my life. Having had the joy of learning and practising with them for many years, the richness and kindness of what they share is ever continuing, drawing deeper and deeper, over and over. They continue to nourish and inspire my own journey, always. ‘Becoming a yoga teacher is not only about the nuts and bolts of teaching yoga, it is a journey into the self and into the heart of what yoga really is. With their very many years of teaching and study, both Jean and Mimi were the perfect choice to guide me on my teaching journey – they approached each module with professionalism, dedication and a sincere desire to help all students to achieve their personal best and fully realise their potential. Although their teaching styles and backgrounds are in many ways quite different, they completely complement each other in the seamless and fluid way they co-teach and present often complex material. By personally embodying their teachings, they inspired in me a curiosity to learn how to do the same for myself. There are many things that I’m grateful to both of them for – for their perceptive approach to teaching, their heart-felt wisdom, their enthusiasm for the learning process, but most of all, I’m grateful for their open-hearted and compassionate approach to yoga as a state of being and a way of life’. ‘I have assisted as well as attended the triyoga Yoga teacher training course with Mimi and Jean. As teachers and mentors, they have been inspiring, supportive and generous tutors throughout the four years I worked with them. They were always available, offering advice and guidance with a smile and a truly encouraging, upbeat approach that is greatly appreciated by students. As teachers, they are wonderfully warm and possess a profound knowledge of the philosophy underpinning asana practice. They both effortlessly weave philosophy into their classes, sharing wisdom to provide students with a broader understanding of Yoga while always making it both accessible and inspiring for all. I feel very lucky to have had the opportunity to study Yoga in depth with Mimi and Jean, and I can’t recommend them highly enough as teachers to guide you through the transformation of a Yoga teacher training’. The 205 hours training consists of 22 tuition days delivered through 5 modules over 12 months. These consist of 4x 5-day modules and 1x weekend module, the first four being 5 full days running from Monday to Friday and the last running Saturday to Sunday. Structured over 9 months with a three month mentorship period at the end, this immersive teacher training will include four modules (five consecutive days each) + one closing module (two consecutive days). Between modules trainees will meet in small groups, attend and observe classes, practice teaching, and complete a total of four short written assignments, two case studies and course reading. The nature of this teacher training is based upon the understanding that we learn best from our personal experience. Therefore each module will be experiential and exploratory so that trainees can develop a felt understanding (somatic) and embodied knowledge of yoga, energy and meditation practices as well as the principles underlying them. This approach will be integrated with practical teaching methodologies so that trainees can effective share this knowledge and emerge as skilled, articulate and embodied yoga teachers. Because we believe good teaching is based on openness, commitment, compassion and integrity, this training will NOT include assessments or marks. Ability to teach safe, clear, creative and effective yoga classes informed by natural, universal movement patterns from somatics and the softness, energy and intention of qigong. A deeper understanding and appreciation for yoga, somatics, qigong, movement, embodiment, creativity and passion for practice + teaching. Knowledge of somatic anatomy and its relevance and application to yoga and movement. Skills to communicate and share yoga as a healing and transformative practice in skillful, safe and authentic ways. We welcome people to apply from all social, ethnic, gender, age, and religious backgrounds. Two years of regular yoga practice. A general understanding of yogic philosophy. An openness and willingness to explore yoga experientially. A commitment to fulfilling the course requirements in respects to attending modules, completing homework and deepening their yoga, movement + meditation practice. 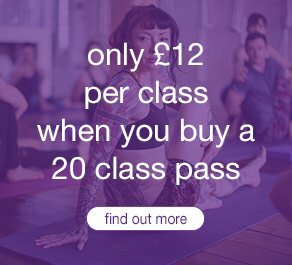 If you are unsure of your eligibility to book onto the training, please contact the teacher training team on 020 7449 3151 or justyna@triyoga.co.uk. Please note, the early bird price does not apply to payment plans. There will be no final exam, but throughout the course modules, teaching practices and assignments there will be on-going assessment by the senior teachers and faculty member’s through observation and feedback. This will also extend into the mentorship period. Trainees who fall behind in meeting the course requirements will be supported in catching up and improving in the areas which they may not feel confident in. Deferral is considered a useful and viable option to enable trainees to graduate at a later date if necessary. Certification will be determined based on completion of the required hours, full engagement and interaction with the course contents and a satisfactory level of completed assignments. Attend a minimum of 90 per cent of the course. If a student misses more than this, a catch-up session will be agreed with the assistants or tutors at an additional charge. 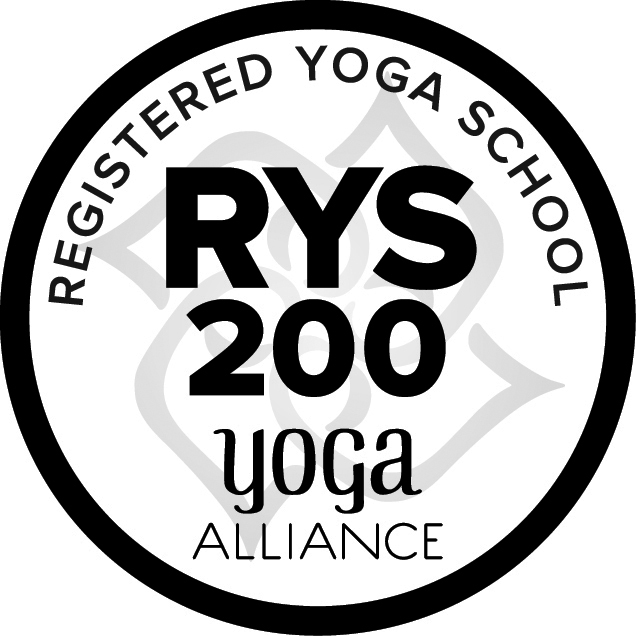 On successful completion of the training, students will be able to register with Yoga Alliance Professionals at Associate – Level 1 level and with Yoga Alliance USA as a 200 hour RYT (registered yoga teacher). Mimi and Jean are senior teachers at triyoga. They have been teaching together on the triyoga Level 1 teacher training diploma course since 2011. Together they have a combined experience of over 40 years of practising and teaching yoga, meditation and other movement arts such qigong and dance. This training is the culmination of their cooperation, vision, passion and expertise. Jean, as a life-long lover of creativity, movement and adventure, has spent much of her life practicing yoga, exploring bodywork disciplines and travelling. Having discovered yoga whilst training as a dancer it soon became an integral part of her life, developing alongside her career as a performer and also her own personal learning and exploration. In 1995 she qualified as a Iyengar yoga teacher and since then she has continued to study different forms of yoga and movement with many great teachers from many diverse backgrounds. Mimi has been a student of Yoga since 1995 and an avid lover of dance since 1978, when her mother put her in ballet school for walking with turned-in toes. Mimi teaches vinyasa yoga, qigong and mindfulness. She champions the balance of playfulness and precision as the best way forward in practice and in life, and never underestimates how sitting, breathing and conscious movement can provide the clearest perspective on the messy, complex and often unpredictable job of being human.